Many businesses don’t have time to keep checking that they’re remaining up to date with the latest health and safety regulations. 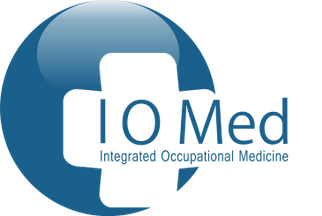 Here at Integrated Occupational Medicine Ltd, in Sevenoaks, Kent, we are experts in employee health and wellness. Providing high-quality health assessments, we tailor our unmatched services to meet your needs. Working with businesses from an array of sectors, our occupational health experts are on hand to carry out health assessments within the workplace. Many industries who are often exposed to noise, vibrations, and asbestos, such as construction and roofing companies, often turn to us for our health surveillances and statutory medicals. As the surveillance is carried out once a year, we’re on hand to make sure that your workplace is complying with legal and regulatory responsibilities. We offer hearing tests, skin tests, and will also monitor respiratory systems, making sure that everything is as it should be. In the event that we notice any deterioration, we’ll refer you to a specialist. Make sure that your employees are in a good state of health by choosing us to carry out thorough health surveillances. We will put together a detailed report and send this to the employee and manager. We’ll advise what we have done and display our findings, offering advice on the most appropriate way to follow this up. Rest assured knowing that our fully qualified doctors will carry out the assessment. The appointed professional knows all of the regulations are that related to any health surveillance or any medical regulation that relates to your company’s specifics. Contact us today, in Sevenoaks, Kent, to discover more about employee health and wellness and our health surveillances.